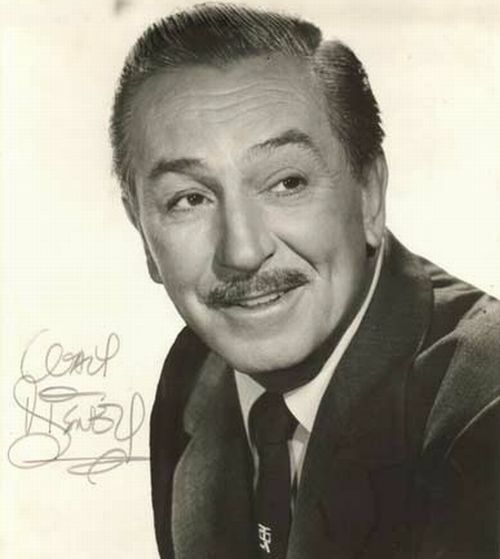 My friends, today we are remembering Walt Disney on the 47th anniversary of his passing. Walt was a creative genius who was a father, husband, daddy, brother, uncle, and the mind behind such incredible vacation destinations as Disneyland, Walt Disney World, and all the rest of the Disney parks. Walt Disney has been gone from this earth for 47 years now, but his legacy lives on. Disneyland and Walt Disney World, the two most famous of Walt’s parks, have never been more popular than they are now. Disney movies are at an all time high in my mind, with the latest movie, Frozen, playing to rave reviews and multiple showings. Saving Mr. Banks, that incredible movie about how the classic film Mary Poppins came about, starts on the 20th. If Walt were looking down at his legacy right now, I think he would be pleased with what he sees. Walt Disney was a legend, a man who has left his mark on this world for billions of people to enjoy. Walt Disney is more than just a company, more than just a brand; the Disney name is more than just a set of theme parks for us to enjoy. Walt Disney was a man, he was a father, he was a husband, he was a daddy, he was a brother, he was an uncle; and on this day, we remember Walt Disney the man, and give thanks to God for his life, and also remember his family and lift them up on this day. Tell me, please — what is your favorite Disney memory of any aspect of Walt Disney, whether it be a memory of the person, or of one of the parks, or of a movie, or something else? Please let me know in the comments, and thank you for stopping by to remember Walt Disney on this day.